How often do you reach your customers once they’re out of your shop? Sending push notifications on holidays or in the times you have a running sale sometimes feels like a shot in the dark. 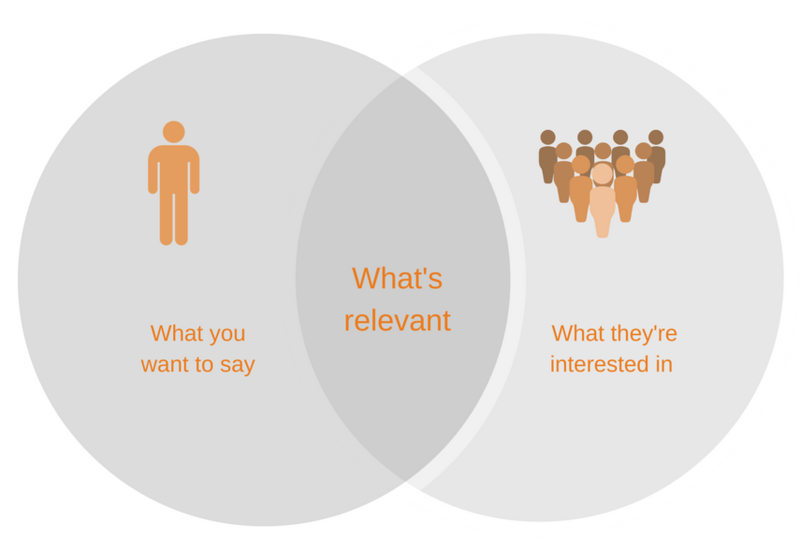 What about a more consumer inclined and relevant marketing? There are a number of ways the world of mobile marketing is moving towards more contextual targeting. 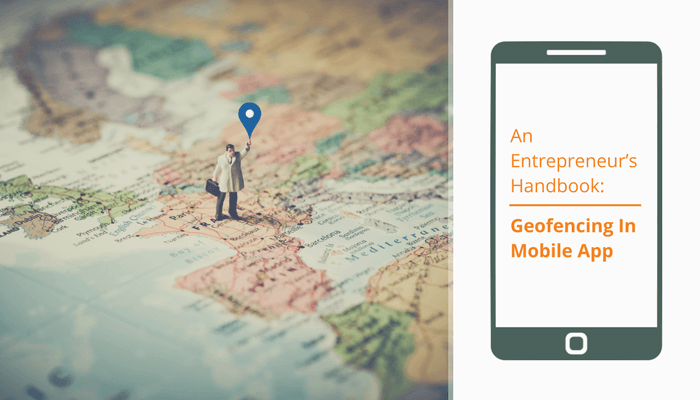 Geolocation in mobile apps is one such phenomenon, that helps you improve your business sales with app development. Mobile is something always on the move and therefore an inherently location-based channel. Eventually, geolocation gives the “location” and the “time” their desired significance in the world full of reckless technological disruption. 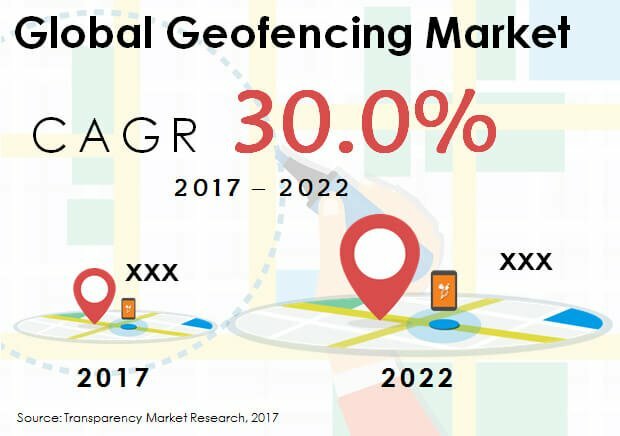 Today, geofencing in mobile apps is widely used as a marketing weapon to directly involve potential customers in the area by mailing promotions and information straight to the consumer’s cell phone. This article sums up almost everything that you need to know about geofencing, its working, and its implementation in your business app. Imagine a university app that informs the professors and colleagues who are on the present in the college. Or an app for a food cafe that rewards regular customers with free meals, while they are around the area. There are many other exciting possibilities that you can find, with geofencing in the app, be it your restaurant business or your real estate business. So let’s get started and explore! 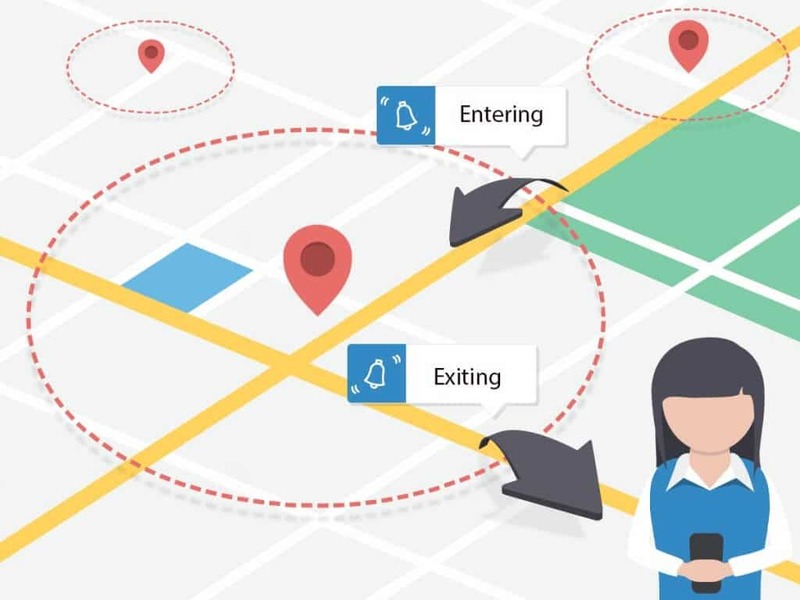 Geofencing is a feature in a software program that uses the global positioning system (GPS) or radio frequency identification (RFID) to mark geographical boundaries. Now you might think what relevance does this have for the businessmen? Geo-fencing enables an administrator to set up triggers when a device enters or exits the boundaries defined by the administrator, a push notification is received. The fence that is created on this geographical boundary, red dotted lines in above figure is called “geofence”. This alert feature is used to send relevant offers to the customers that are passing by your defined area in the geofence. Saying that I might have got you all eager beaver to know about its working and the technologies behind it. How Does Geofencing in Mobile App Works? An admin must first get a virtual boundary established around a specified location in GPS- or RFID-enabled software. This virtual geofence will then trigger a response when an authorised device enters or exits that area, as defined by the administrator. A geofence is generally defined within the code of a mobile application, particularly as users require opt-in to location services for the geofence to work. A retailer draws a geofence around its outlets to trigger mobile alerts for customers who have downloaded the retailer’s mobile app. In these cases, a geofence that is managed by the retailer is integrated with the app, and users also have an option to decline location access for the app. Once the users accept to share their location, retailers can directly send them their favourite offers and have them visit right at that moment! Isn’t that wonderful? Locations services: To determine a user’s device within a geofence, geofencing in mobile app employs cellular triangulation, wi-fi tower triangulation or GPS. Cellular and wifi are recommended for their reliability as GPS-based solutions and are deemed to be the “battery-drainers”. Hardware requirements: Geofencing doesn’t need hardware. It is just a software form that can be incorporated into a mobile app and handled through an online dashboard or API. Target range: Geofencing in mobile apps is much advantageous for large-range outdoor marketing. This usually covers an area of about 50 and 50,000 m radii, for instance, a shopping mall or a neighbourhood. 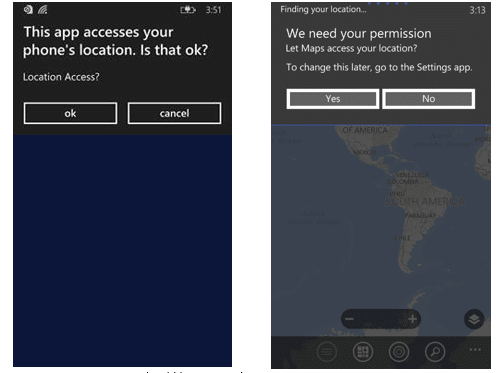 Each app that is using geofencing technology needs to have location permission. Most developers choose to get users’ location outside app’s UI thread. This starts a permission request prompt while user launches the app initially. Developers get a notification about each permission update, which enables them to follow their audience closely. Kinds of events that admin wants to be notified about. For example, admin can be notified when a new user enters geofence region, or when the user is looking for a certain service, or when the app is removed from user’s smartphone etc. Time value that defines how much time app users have to stay in geofence area before they get a push notification. Background notifications are of much more utility as your app isn’t a Pokemon go game that users would be hooked to all the time, but the background notifications will need users to take some prompt step, say, turning on permissions to show notifications. This, in turn, will also require developers to put background tasks to their app’s manifest, define background task types, set each task type to one location source and specify the entry point inside the app that will be initiated when specific events are triggered. Developers will also write additional code snippets that will define all other essential criterion that are inevitable for running background tasks. Geofencing in mobile app sends out ads, sales, and promotions directly to the customers’ smartphone in the proximity of the area of your business. According to statistics from Plotprojects, geofencing enhances app usage by over 200%, driving high customer engagement and an probability of a lead conversion. Besides, geofencing click-through rate is higher than that of normal push notifications. This implicates that geofencing push notifications are proven to increase the number of people who click on the promotional notification your business sends them. Because big companies have the benefit of being well-known to consumers, geofencing can be of a huge advantage to small businesses wishing to improve consumer awareness of their brand. Geofencing in mobile app offers businesses an accurate marketing timing, it saves you tons of money that you would have otherwise spent on paid advertising. If you don’t have a lot of money for advertising, geofencing is a great way to grow your business with less money. Imagine the power of geofencing mobile app in business if rest of the 78% started using location-based targeting too. Using geofencing in your small app lets you directly get into competition with big businesses for a fraction of the price. Whatever the budget is, there is a gamut of things that any small business can do with geofencing. Geofencing in mobile apps can be much more clever and shrewd than sending out plain notifications to consumers in the area of your business. The hack is that businesses are not limited to using their own locations when purchasing and setting a geofencing area. You as an entrepreneur can target consumers in creative locations that relate to their business. For example, as a restaurant business, you can send out a notification to your consumer when he enters a food eatery. Or as a law firm, you send out a notification to your clients when they enter a bail or bonds office. 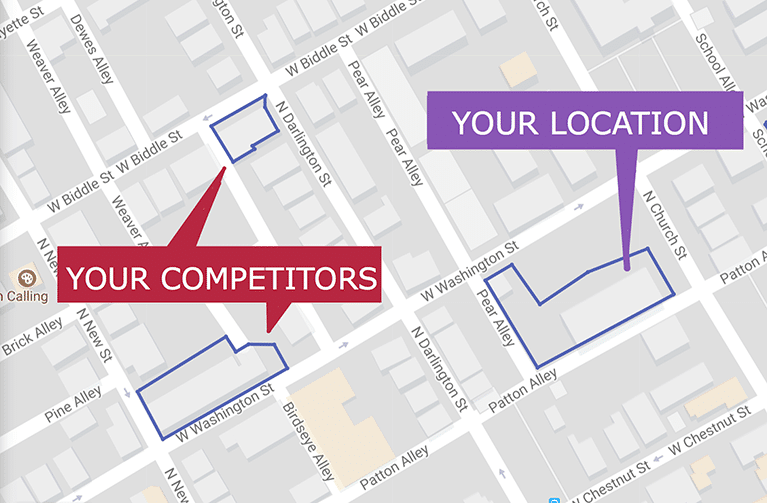 If your business if feeling particularly strategic, you could even set up your geofencing area around your competitor’s business. When customers move near your competitor, they’ll receive a discount, special sale, or general information notification for your business instead, which could drive traffic away from your competitor and directly toward your own business. Because mobile app geofencing possibilities are endless, small businesses can get creative to open up new opportunities. Agree? You must! There are tons of reason why people in business are going bonkers over the geofencing phenomenon. It is terrific marketing and advertising tool. This technique helps enterprises to individually target consumers in strategic geographical areas of their concern with attractive offers such as sales, promotions, and data about their business. Understand how much your app will cost you and you can directly ask your developers to incorporate geofencing in your app, which will be minimally charged. Many geofencing applications incorporate Google Earth, letting administrators define boundaries on top of a satellite view of a specific geographical area. Other applications define boundaries by longitude and latitude or through user-created and Web-based maps. It mustn’t be reliant on GPS – GPS will drain your app users’ battery quickly. Must be optimised for accuracy and battery usage – a system that has a well-optimised balance between the both, is advisable. Because generally, the ones that claim to be super duper accurate; will be battery draining on the flip side. Data collection– When it comes to processing data, you can’t neglect offline behaviour. Use these insights to target users in a more personalised way, and go beyond the average push notification. Manage your geofencing efforts – An excellent geofencing solution should come integrated with a control dashboard and API, which allows easy creation and optimisation of geofences. Don’t spam your users – Dense urban areas have a lot of geofences. To avoid giving too many notifications, you can research and employ anti-spam tools. Isn’t it amazing how we can pack the whole geofencing system into a few code snippets that makes use of smartphones’ pre installed location hardware? But then everything relies on how you implement and execute the learnt strategies. The most important for you right now will be to make your apps smarter and more contextual with geofencing that leads to its wider acceptance among users. So get in touch with your developers and kickstart your marketing with geofencing right now!